A fun to color Mardi Gras activity printable writing paper with lines, ribbon borders, bubble letters and fancy masks coloring pictures. 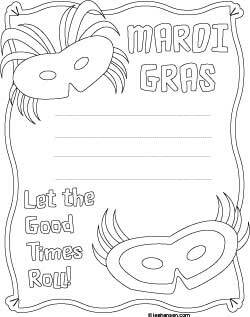 Printable Mardi Gras writing paper coloring sheet with letters and masks to color in and lines for handwriting. 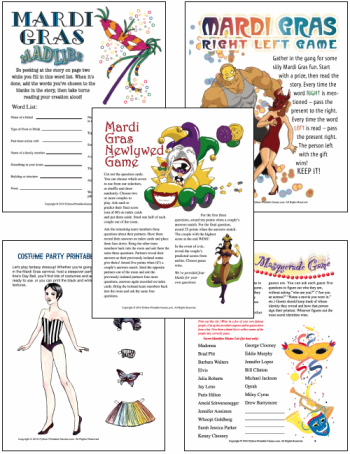 Make a Mardi Gras party invite or poster with this template!